Increase significantly the amount of mineral resources of your Minecraft worlds. OresPlus 1.7.2 is a mod that is still in beta, but is functional and handles add a lot of resources that are needed in certain mods, such as silver or copper in mods like Industrial Craft or BuildCraft. The mod currently adds a total of 44 mineral resources. These new resources will not only be found in the mines of our dimension, but also in will be found when mining in the Nether and in The End dimension. 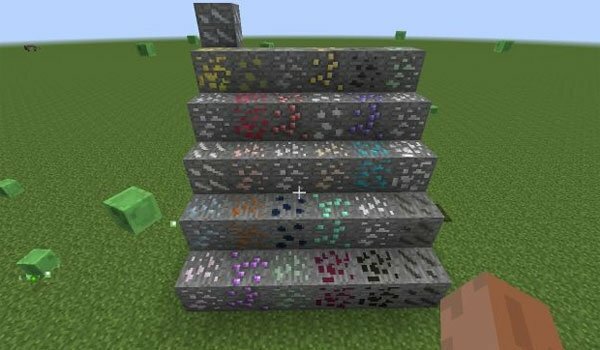 The ores added by the mod don’t do anything on their own, this is designed to work in combination with other mods (mainly technological) which needed mineral resources that are not in the default game. How to install OresPlus Mod for Minecraft 1.7.2? Discover the 44 new ores of this mod!